Oh No!! The Pokemon Go Conspiracy?!! I barely know a damn thing about this new craze of Pokemon Go! I barely know anything about Pokemon in general but as everyone and their mom are out hitting the streets playing this new game it began to make me wonder if more was a foot here than meets the eye with this new phone addiction. 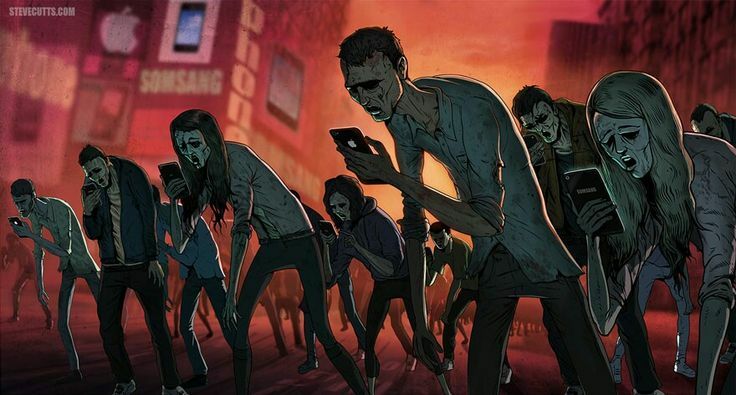 Let’s face it we all spend way too much time looking at our phones, it’s gotten to an embarrassing level here for the human race that we’re all so damn checked out of what’s going on around us and so checked in to our little phone “realities”. Hey I’m guilty of it too and I’m making an effort lately to put the thing down as much as possible. Well with Pokemon Go now things are getting pretty strange at an incredibly alarming rate. In fact the more info I read about it the more I think it’s far more than an innocent little game. Take a moment to check this out if you too have any reservations about exactly what’s going with this brand new craze that’s sweeping the world!! Space Ace Comes to the iPhone! Wow, I could not contain my excitement when I saw this so I had to write up a quick one for you. SPACE ACE for the iPhone! Now, I apologize to anyone that may not have an iPhone, but just perhaps this is the tipping point for you go out and splurge! For those with the iPhone and have no clue what Space Ace is…here is a quick rundown. Space Ace was a laserdisc video game produced by Don Bluth. It was unveiled in October 1983 and then released in Spring 1984, and featured film-quality animation played back from a set of Pioneer laserdisc players. The game play was quite simple, but the timing was the tricky part. When I was a kid, it was always a gamble to go to the arcade with the hopes of playing Space Ace and only to find that it was out of order. This was common due to the laserdisc player format being very new and unpredictable. Obviously, with the iPhone…this is not a concern anymore. The iPhone version is actually the third incarnation of the game. The game was revamped in the late 90’s in a DVD format where you used your remote as the controller; also available on Blue Ray and HD DVD if you care.